In the chill of an October night, Detective Kerri Blasco is called to a bizarre murder scene. Leda Winfield, a young volunteer for the homeless, has been shot. Her cell phone displays the frightening text, WATCHING YOU, and into her back, hideously pushed with a hat pin, is a note with the same awful message. Leda’s socialite family and friends insist that no one would have wanted to harm her, but Detective Kerri isn’t convinced. Kerri soon finds that the killer is after her, too, and that the key to finding him may just be in the homeless shelter. When the body count rises, she vows to stop the madman – even if it means battling her own personal trauma, risking her job, her love relationship with her boss Alex Brand, and her life. This book is my favourite in the series so far. Kerri Blasco is evolving as a character, we see different sides of her in each book as the series go on and they all fit perfectly, so she stays true to herself as she was described in the first novel. She is a likable character, with many talents and humanising flaws. I think there are so many different directions that the rest of this series can go in to keep her growing, I’m fascinated to read them all. In this instalment, Kerri is brought to the forefront as both the investigator and potential victim. Until this point, she’s been slightly aloof but this time we see right into her mind and get a real feel for her as a human being. The killer in this book is the most sinister of them all, picking his victims seemingly at random and stalking them before murdering them. There’s something about stalking that gets under the skin, and Schneider uses it to its creepiest extent, something that chilled me to the core. I adore Schneider’s writing style in general but for me, her ability to build tension and create really human characters is what sets her apart from other authors. In this novel, her portrayal of the first victim really made an impression on me. Leda was a young woman from an affluent background who chose to live in a modest apartment and work with homeless people – this wasn’t then riddled with scandal or hypocrisy, she stayed a good character who was in the wrong place at the wrong time. I think the cynicism gets me down when seemingly generous and good characters turn out to be selfish and flawed all the time, sometimes it’s just nice to let someone be…. Nice. Another aspect of this series that I really enjoy is that it’s a straight-laced crime mystery where the police aren’t stupid or corrupt, they’re realistic detectives and officers who are doing a job. I think Kerri is edging towards going rogue, which I hope isn’t going to be the case, because her relationship with her fellow detective has to be kept secret or she’ll be reassigned to another precinct. She does bend several of the rules this time, I hope she starts treading that thin blue line again soon! 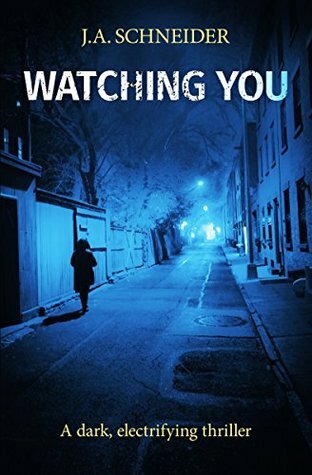 This series is perfect for readers of crime thrillers, especially those looking for well written female characters (so rare in this genre) and strong plots.